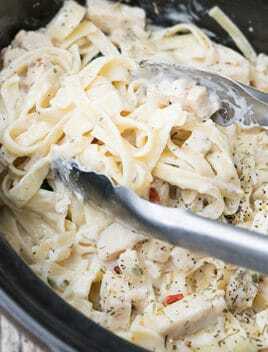 Quick and easy crockpot chicken alfredo recipe, made with simple ingredients. An easy weeknight meal – Rich, creamy, cheesy, loaded with Italian seasoning. This meal is just as delicious as my One Pot Fettuccine Alfredo (Stovetop Version) and a classic comfort food. 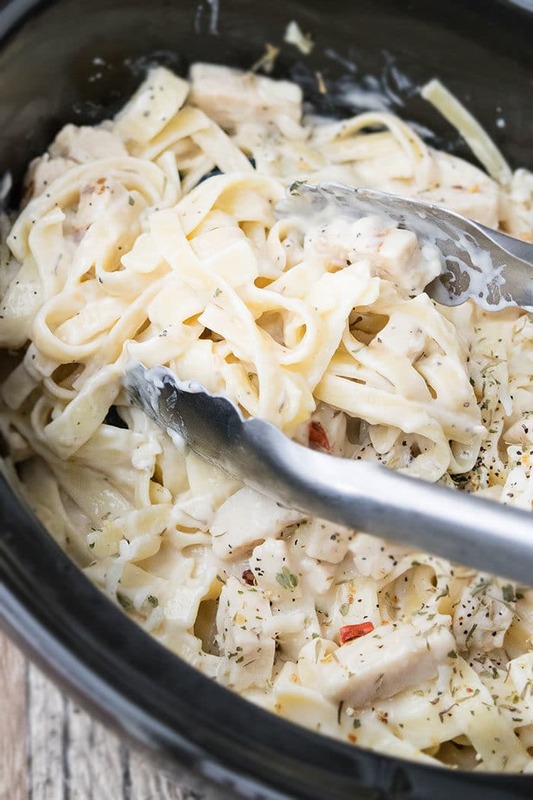 Can you make chicken alfredo in the crockpot/ slow cooker? Place in slow cooker, along with Alfredo sauce. Garnish with parmesan cheese and you are done. Can you cook fettuccine in a slow cooker? I prefer mixing in cooked pasta but yes, you can cook fettuccine pasta in crockpot too. However, you would need to add more liquid such as broth or milk to allow it to cook/boil properly. -Mushrooms– Add 1/4 cup cream of mushroom soup and also add some stir-fried sliced mushrooms in the crockpot during the last 15 minutes. -Shrimp– Add shrimp during the last 30 minutes and let it cook. However, I, personally, prefer stir-frying the shrimps with some Italian seasoning, garlic, salt and pepper first and then mixing it with everything else in the slow cooker during the last 15 minutes. -Spinach– Add 3/4 cup frozen spinach that has been thawed and drained of excess water in the last 30 minutes. -Tortellini– Replace fettuccine pasta with boiled three cheese tortellini. -Bacon– Sprinkle 1/3 cup cooked crumbled bacon on top, just prior to serving. -Cajun seasoning– Replace Italian seasoning with Cajun for a different flavor. -Cheese– Add a variety of cheeses at the end such as parmesan, mozzarella and even cheddar. -Spice– For a spicy kick, sprinkle some red chili flakes on top, prior to serving. -Adjust the amount of Italian seasoning, based on your preference. 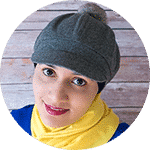 -You must spray the inside of the slow cooker with oil to prevent sticking and burning. -Cook time may vary, based on the brand of slow cooker you are using. For me, chicken was cooked through at 2.5 hours on low setting. Some slow cookers may require a little more time. -Use flavored alfredo sauce such as roasted garlic alfredo because it has so much more flavor. Any brand of sauce can be used. 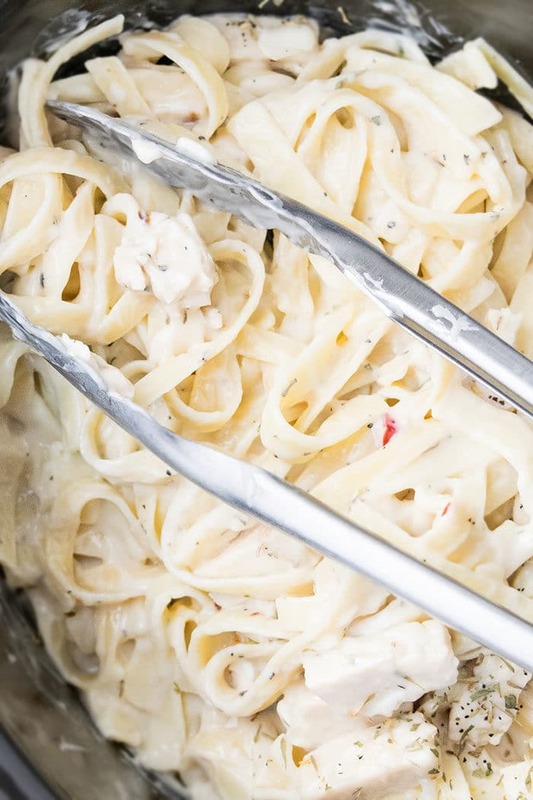 -Homemade alfredo sauce can be used instead of the store-bought version. 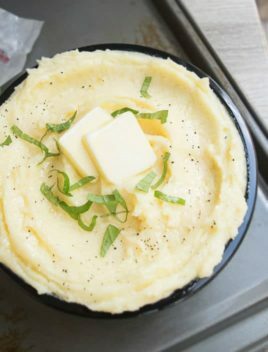 -Serving suggestion: You can either mix the boiled pasta with the crockpot alfredo sauce in the slow cooker at the very end like I did OR pour the sauce over boiled pasta. -If the sauce is too thick, thin it out by adding some half and half, milk. 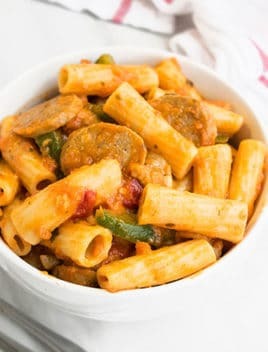 -Instead of fettuccine, any other pasta like penne or macaroni or spaghetti can be used. 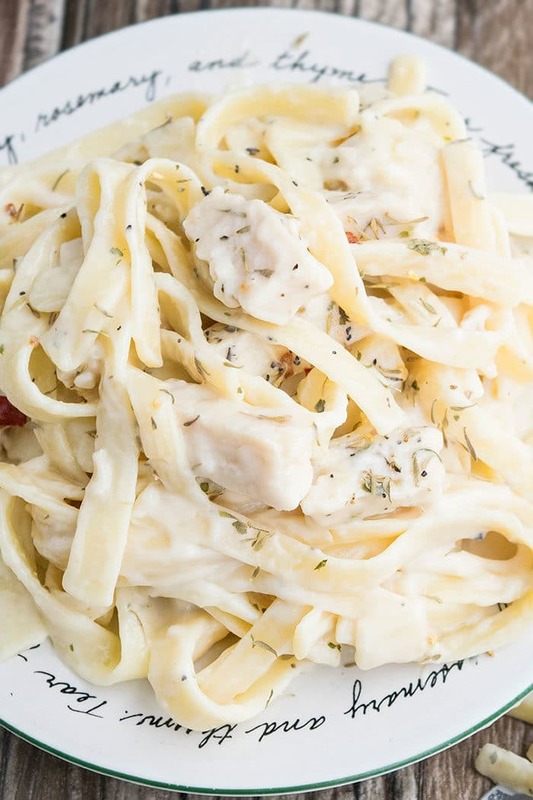 – The alfredo sauce gets absorbed into the pasta and becomes thicker, as it cools. That’s why I think it tastes best when served fresh. Rub Italian seasoning, garlic powder, salt and pepper throughly over the chicken breasts and place them in a slow cooker (that has been sprayed with oil). Pour alfredo sauce on top of the chicken. Mix it all together. Cover and cook on low for 2.5 hours or until chicken is fully cooked. Remove chicken breasts and use a sharp knife to cut them into small cubes and put them back in the slow cooker and mix everything together gently. You can also shred the chicken, if you like. 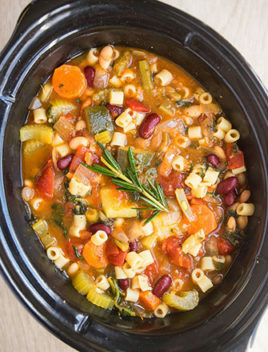 Add the boiled pasta in the slow cooker and mix everything together. Garnish with parmesan cheese, some pepper and Italian seasoning. 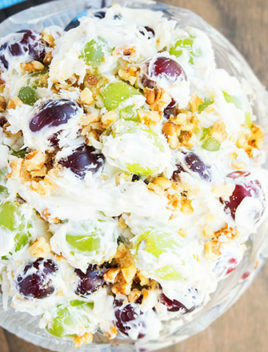 Tastes best when served immediately but leftovers can be stored in a sealed container in the fridge for up to 2 days.